New York City has a vast collection of Irish pubs, where you are sure to find a friendly face, a healthy pint, and the hospitality for which the Irish are famous. 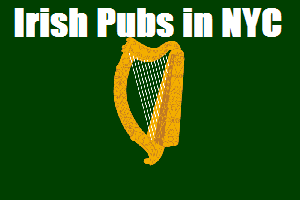 In our continuous efforts to “connect the fun to the fun people”, here is our MurphGuide Directory of Irish pubs NYC. Three level bar & restaurant from the Pig & Whistle Group. Winner of the world’s best bar title. Irish restaurant & bar and home to the first St. Baldrick’s shaving event. Financial District location of the popular Irish pub. Irish pub within the residential towers of Southbridge. Named after the famous Irish novel written by James Joyce. Live music on Saturday nights. Irish pub & sports bar. east side, between E. 14th & E. 29th St.
Irish pub specializing in Irish whiskey. Failte is Irish for welcome. Wolfe Tone’s Irish Pub & Kitchen: 37 E. 29th St. (between Park & Madison Ave.) New York, NY. (212) 390-1688. 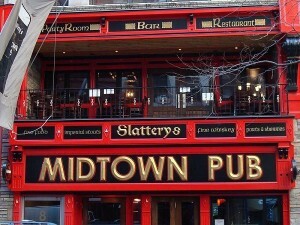 NYC Irish pub dedicated to Liverpool UK. Irish restaurant & pub offering American cuisine with a touch of Irish & English flavor. Home of the Manhattan No. 1 Celtic Supporter’s Club. 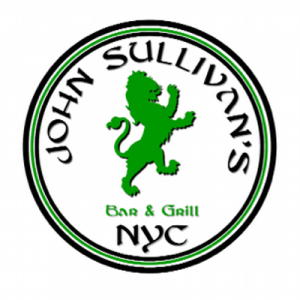 A landmark New York City restaurant and Irish pub run with distinction by the Neary family since 1967. Are we missing one? See an error or a pub that is closed? Please contact us to let us know. Slainte!